Order online this holiday season and skip the in-store Black Friday madness! Get 20% off all Sheepherder sheepskin slippers – the perfect gift this Christmas! Choose from our selection of full foot and scuff slippers for men, women and children. Enter promo code BLACK12 to claim your savings at checkout! Shop all sheepskin footwear now! 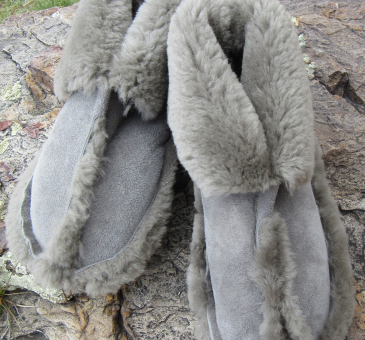 *Valid 11/22/12 – 11/25/12, on Sheepherder brand slippers only. Discount applied at checkout. This discount is only valid for Sheepherder brand slippers. If the discount is applied to any other item you may be charged an additional 20% after checkout.